Andy Jacobs has been promoted to global chief technology officer and director of Global Partnerships at MRM, a new position at the agency, a unit of Interpublic Group’s McCann Worldgroup. He is based in New York and reports to MRM CEO Bill Kolb. Jacobs joined MRM in 2006. Most recently, he was CTO and director of Global Partnerships. In addition to leading the agency’s technology efforts, Jacobs is also responsible for managing the agency’s biggest global clients. They include General Motors, Verizon, Intel, MasterCard, Google, General Mills, U.S. Army and Pitney Bowes. Jacobs is credited with spearheading the efforts that brought Nike, Volly, Adobe, EngageSciences and Sitecore on board the agency’s client roster. 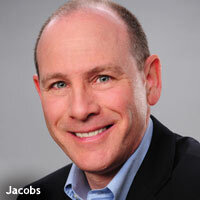 Kolb said that Jacobs “expands his responsibilities to include all MRM markets ..."
Prior to joining MRM, Jacobs was chief technology officer of Euro RSCG 4D, New York, where he helped design and build an eCRM marketing automation platform for IBM. He also provided marketing technology strategy to clients including Intel, Xerox, Peugeot and New Balance. Earlier, Jacobs was a technology strategist on Wall Street where he participated in a number of system implementations at Morgan Stanley, JP Morgan Chase, and Bear Stearns.